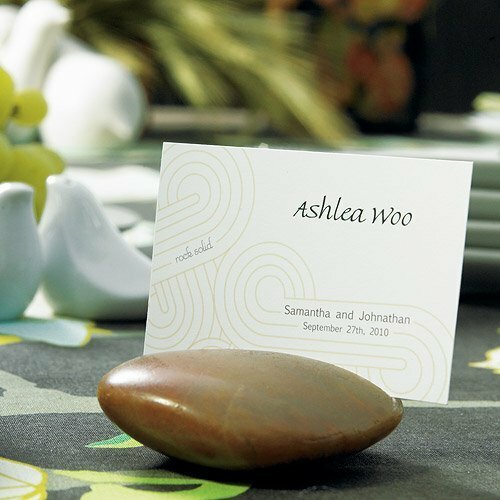 These standard 2" x 3" place cards feature a flowing pattern inspired by a Zen garden. 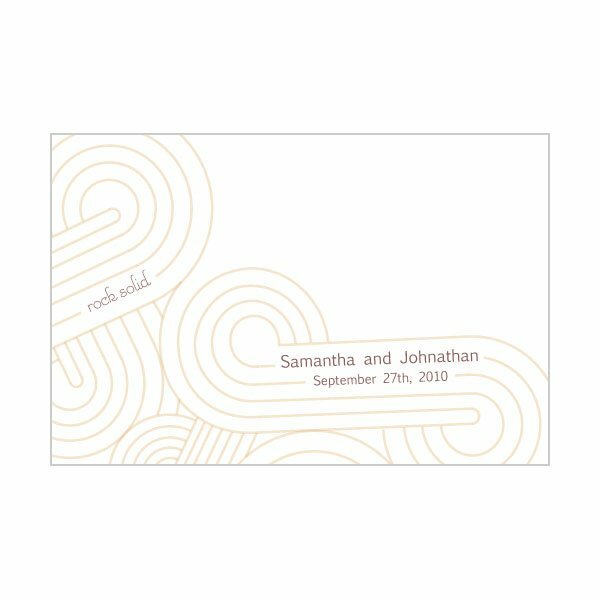 There is room to add names for use as a place card, but we also add your names and wedding date along with a 'Rock Solid' caption in small print. Sold in sets of 12 with a min order of 2 sets. 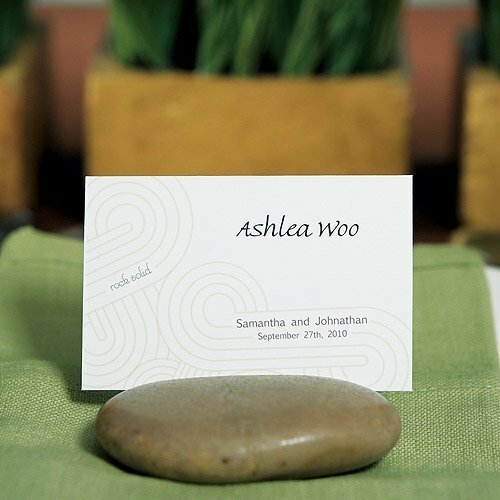 Optional image shows them being used in conjunction with our natural stone card holders (sold separately). Product dimensions: 3 x 2".